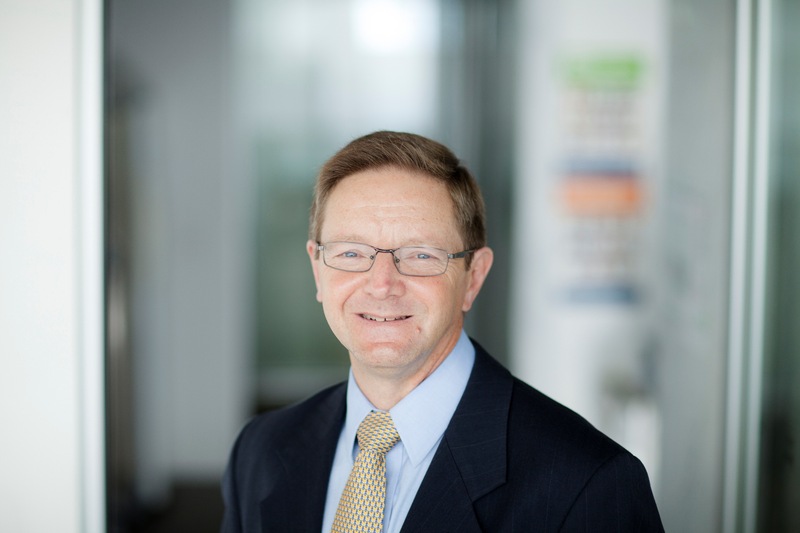 Melbourne Institute and Commonwealth Bank partnership reveals world first research into financial wellbeing. The challenges of managing personal finances and putting enough money aside to ensure their financial futures is weighing on the minds of a significant number of Australians. In fact, it may be reducing their overall happiness in life, according to a new benchmark measure of financial wellbeing, released by Commonwealth Bank and the Melbourne Institute: Applied Economic & Social Research at the University of Melbourne. Almost one third of Australians (31 per cent) are not on track to secure their financial future, with one in four people surveyed admitting they do not enjoy life because of the way they are managing their money. 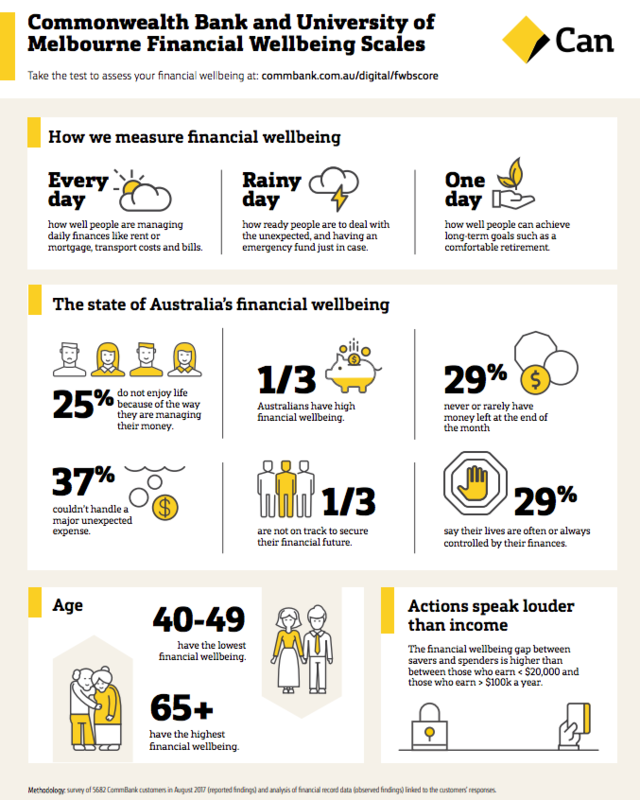 The world-first research, CBA-MI Financial Wellbeing Scales (Scales), provides a new measure of financial wellbeing to better understand the financial health of Australians. Uniquely, it combines people’s own perceptions about financial outcomes alongside banking data to show the drivers, barriers and behaviours linked to positive financial wellbeing across both "self-reported" and "observed" scales. Financial wellbeing: the nationwide state-of-play is mostly positive Overall the research paints a positive picture; some two thirds of respondents have high financial wellbeing in either their self-reported or observed scales, with one third having high financial wellbeing in both scales. Poor financial wellbeing limits happiness One in four people surveyed do not enjoy life because of the way they are managing their money. Nearly one quarter (23 per cent) say they are struggling with money management and almost one third (29 per cent) say their lives are often or always controlled by their finances. Many Australians face financial uncertainty, now and in the future About one in three respondents have low financial resilience, with 31 per cent observed with a low savings balance and 37 per cent saying they couldn’t handle a major unexpected expense. In addition, the next generation of retirees might be at risk, with one third (33 per cent) saying they are not on track to secure their financial future or provide for future needs (32 per cent). The research underpinning the Scales is based on findings drawn from an online survey of 5,682 CBA customers in August 2017, and analysis of financial record data that were linked to the customers’ responses. Read more on the methodology here.